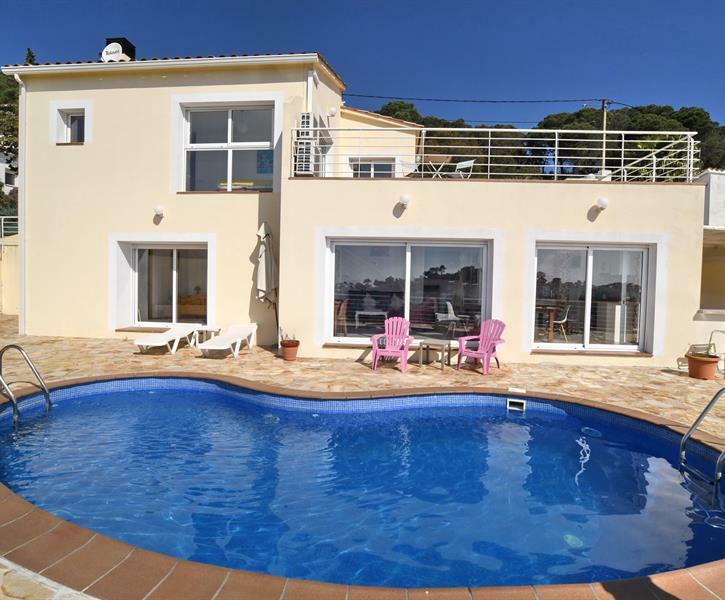 Located on the Costa Brava, between Tossa de Mar and lloret de Mar, at the top of a calm residential area with a view of the sea as well as of the mountain, only 10 mn from the sea. 5 mennesker fant denne anmeldelsen nyttig. 7 mennesker fant denne anmeldelsen nyttig. We stayed in Villa del Sol in July this year. The villa more than lived up to our expectations from the photos we viewed prior to booking. The setting was beautiful and views amazing. The owner met us when we arrived and was really welcoming. This setting is great for families who like quiet holidays and is close to Tossa de Mar and lloret de Mar and local beaches; however a car is a necessity. Only an hours drive to Barcelona which was perfect for a few day trips to the city. Nous avons logé entre amies dans la villa del sol ! Nous avons particulièrement apprécié la localisation de la villa située dans les hauteurs de Lloret ce qui permet de bénéficier d’une magnifique vue ! L’appartement est très bien équipé la literie est confortable et les pièces sont bien aménagées ! Les propriétaires sont très accueillants et disponibles au besoin ! Nous avons pu profiter des plages et des nombreuses activités de Lloret ( randonné, parc aquatique ....) Je recommande sans hésitation ! Alleen wifi werkte niet na 4 dagen. We waren met 2 gezinnen tieners jongste 9 jaar. Voor de airco apart betalen als je er gebruik van wilt maken. Villa helemaal goed ruim netjes. Zwembad prima. Alles goed te bereiken met de auto binnen 10/ 15 minuten. Duurde 2 dagen voordat we de zwembad konden gebruiken. Was niet schoon. Buurman Paul & Ana hebben het uiteindelijk opgelost. Platja daro mooie stad en strand. Tossa de Mar mooie plaats en strand. Canyelles strand klein heel dichtbij met de auto.